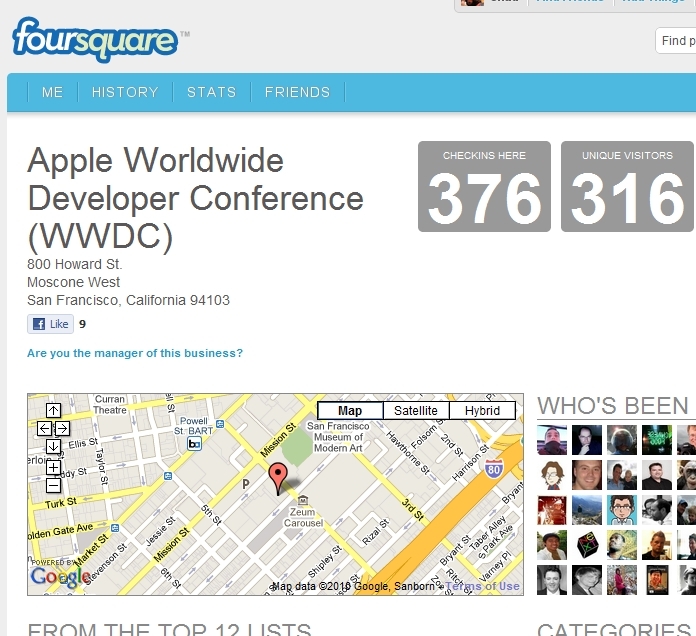 If you somehow haven’t heard, today is Steve Jobs’ keynote at Apple’s annual Worldwide Developer’s Conference (WWDC) and has become derigiour at major tech events, attendees are checking in left (Gowalla) and right (Foursquare) not to the venue but to the event. Gowalla – which specializes in very slick graphics, including their badges – prepared a badge for the event (some users have noted that it looks like a stain glass window of a church – the Church of Jobs perhaps?). 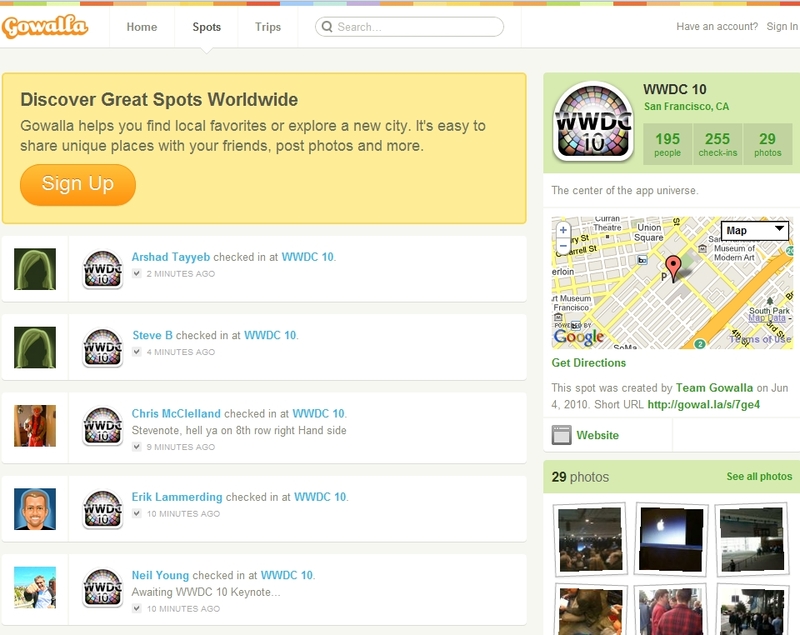 Foursquare confirmed with us that they’re working on one, but it’s not available yet. Attendees have really had plenty of time to check-in – the line, as always, has been long.